Luke Paul Hoare Shaw popularly known as Luke Shaw is an English footballer who plays professional football for Premier League club Manchester United and the English National Team as left back. Shaw started his football career playing from Southampton's youth system. Shaw made his debut in January 2012. The same year, Shaw signed his professional contract to play for Southampton's' main team in May. For his outstanding performance as left back, Manchester United signed him for 30 Million pounds. It was a world record transfer fee for a left back teenager. Shaw made his international debut for the England National Team in a friendly match against Denmark on March 5, 2014. England won the friendly by 1-0. Speed, decision-making and defending skills. Shaw is compared to Gareth Bale for his tendency to play attacking football. Shaw has returned to Manchester United training ground for further assessments after suffering a head injury during England's defeat against Spain. Shaw was seen driving himself into United's training ground. The left-back will have to stay inactive for seven days following mandatory concussion protocol. Shaw will miss Premier League match against Watford. The 23-year-old Shaw again had an injury after a collision with Carvajal in the UEFA nations League defeat. Shaw was treated by 10 medical staff on the pitch over six minutes and also had to be provided with oxygen. Shaw was born to a Father Paul Shaw and a mother Joanna Shaw on July 12, 1995, in Kingston upon the Thames, United Kingdom. Shaw attended Rydens Enterprise School in Hersham, Surrey. Shaw used to be a Chelsea supporter in his childhood. He wanted to play for Chelsea. Shaw also played at Chelsea's development centre in Guildford. But he was not offered a place in the academy. Shaw joined Southampton Academy at the age of eight. And at the age of 15, Shaw became a regular player for the under-18 team. Premier League clubs like Arsenal, Chelsea and Manchester City started showing interest in signing Shaw just at the age of 16 only. Southampton responded that they have future plans for Shaw in their own club. On January 28, 2012, Shaw made his debut for the Southampton first team in the FA Cup against Millwall replacing Jason Puncheon in the 77th minute. Shaw became one of the four youth players along with Jack Stephens, Calum Chambers and James Ward-Prowse to be offered a professional contract for their return to Premier League. In August 2012, Shaw made his career start for the Southampton first team against Stevenage in the League Cup. Shaw played the full 90 minutes when Southampton won the match by 4-1. Shaw made his Premier League debut as the youngest Southampton player against Swansea City on November 10, 2012. Shaw played in 25 fixtures in the Premier League in his debut season. Shaw extended his contract with Southampton with a new five-year deal on July 12, 2013. Shaw was named as one of the six players on the shortlist for the PFA Young Player of the Year Award on April 18, 2014, and also selected as left back in the 2013-14 PFA Team of the Year. Manchester United successfully signed Shaw on a four-year deal, with an option to extend for a further year on June 27, 2014. 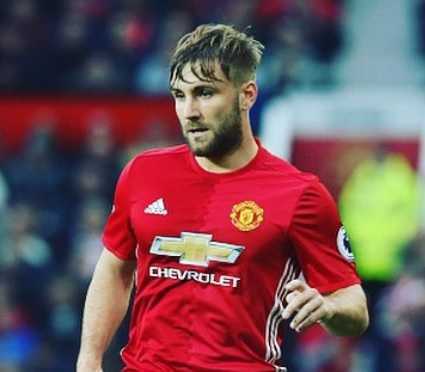 The transfer fee was not disclosed but it is expected to be around 30 million pounds making Shaw the most expensive teenager in world football. Shaw was just 19 years old then. Another Premier League club Chelsea was also eyeing Shaw, but they backed away due to Shaw's excessive pay demands. Shaw made his debut for Manchester United against LA Galaxy in the pre-season tour of the United States. Manchester United won the game by 7-0. Shaw made his competitive debut for Manchester United only on September 27, 20,14 due to the hamstring injury before the start of the season. Shaw was named on the 40-man shortlist for the 2014 Golden Boy award in October 2014. Shaw started as a regular player in every league match in the early 2015-16 season. Shaw suffered a double leg fracture during the opening match of the Champions League group stage against PSV on September 15, 2015. Shaw was harshly tackled by Hector Moreno. Shaw was given oxygen and nine medical staff treated him that stopped the game for 9 minutes. Shaw was rushed to a hospital and was ruled out of football for 6-7 months. Shaw returned to regular training for Manchester United on April 4, 2017. Shaw made his competitive appearance for Manchester United in 2016 FA Community Shield finale against Leicester City on August 7, 2016, almost after 7 months of recovery from injury. Manchester United won 2-1 against Leicester City. Three days later on August 10, 2017, Shaw scored his first senior goal for any club in the Premier League against Leicester City. Initially, Shaw played for England U-16 Team. He made his international debut for England U-16 against Slovenia in February 2011. Shaw scored his first international goal against Uruguay. Shaw made his international debut for the U-17 team against Italy in August 2011. 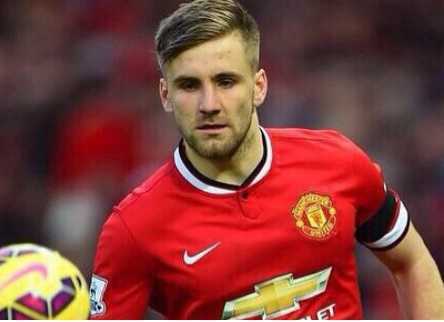 Shaw was the called up for England's U-21 team but had to pull out due to an injury picked up in the training. Shaw later made his debut for England U-21 Team against Moldova in a 2015 UEFA European U-21 Championship qualification match. Finally, Shaw made his international debut for England senior team in a friendly match against Denmark on February 27, 2014. He replaced Ashley Cole at the half-time in a 1-0 victory. Shaw was also called up in Roy Hodgson's 23-man squad for the 2014 FIFA World Cup and made his World Cup debut in a 0-0 draw with Costa Rica. Shaw became the youngest player of the 2014 tournament. Luke Shaw became one of the youngest defenders to be transferred in a world record fee of around 30 million pounds when Manchester United signed him from Southampton in June 2014. At present, Luke Shaw's net worth is estimated to be $44.5 Million. Shaw earns through salary, bonuses and contracts.